West Coast Classics are proud to present a virtually still like brand new 2002 Bourget built with custom 'The Joker' inspired paint one-off Show Chopper bike powered by a Show-polished S&S 122HP power-train matched with a 6 speed transmission in this gorgeous custom painted color with unique artwork inspired by 'The Joker' from 'Batman' or any winning card deal! 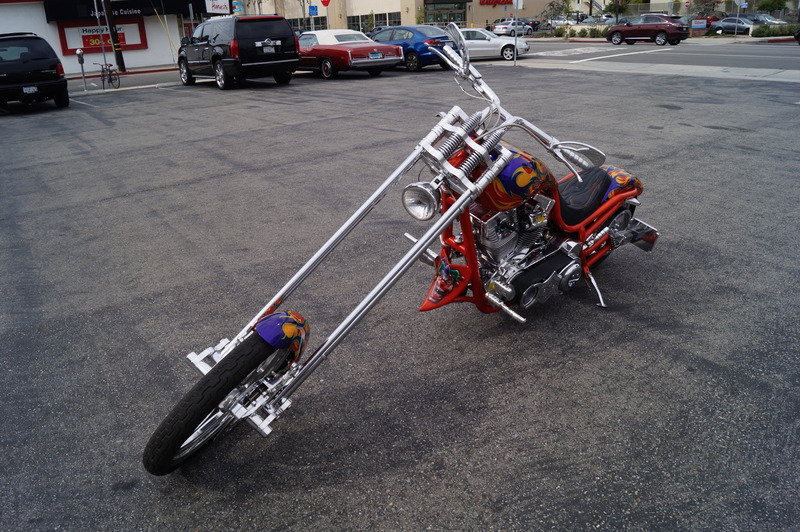 An as showroom new example of this 2002 Bourget Custom Chopper that has obviously never been dropped or abused - a true garage Queen if ever there was one and a bike that was originally built by the renown 'Bourget's Bike Works', a custom/production motorcycle manufacturer of Phoenix, Arizona! This highly striking example is mechanically and cosmetically as new with reportedly and obviously only very few original miles! 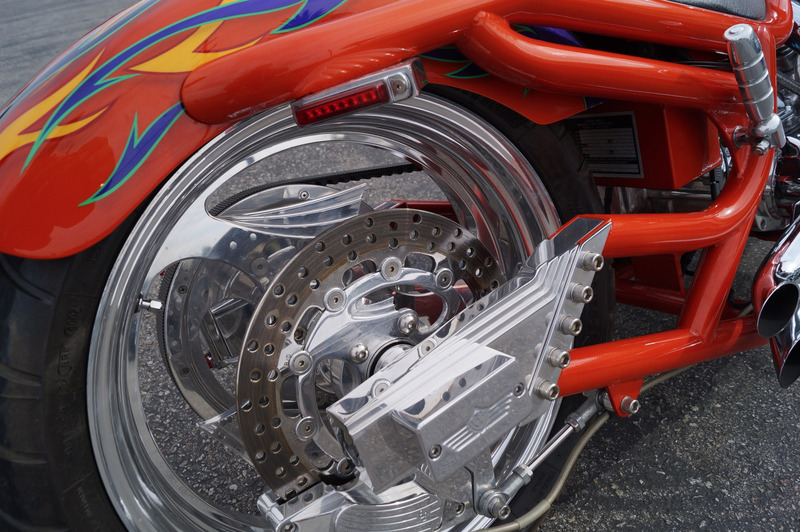 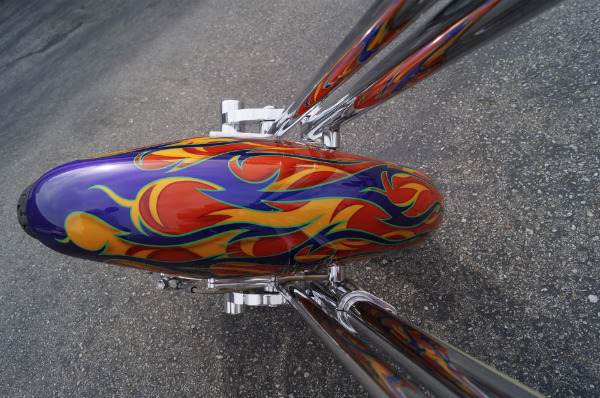 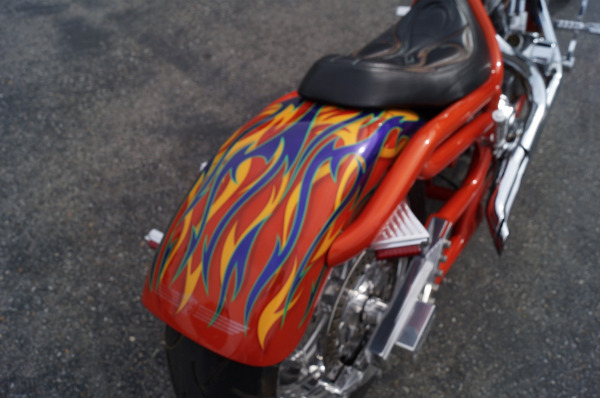 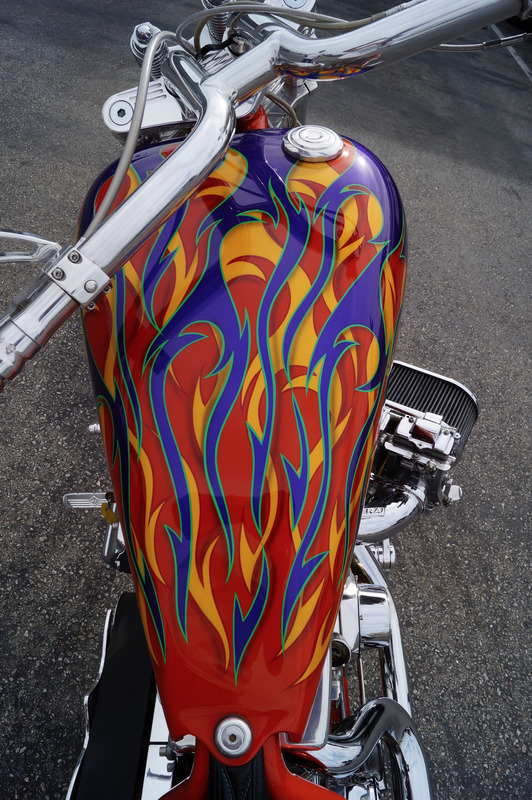 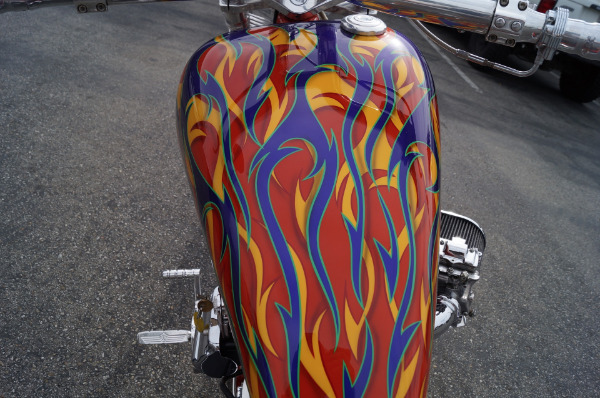 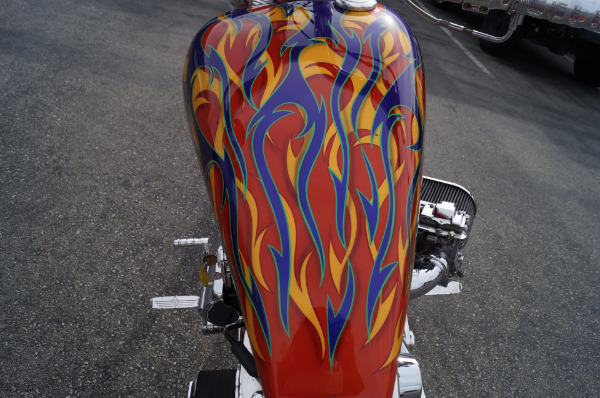 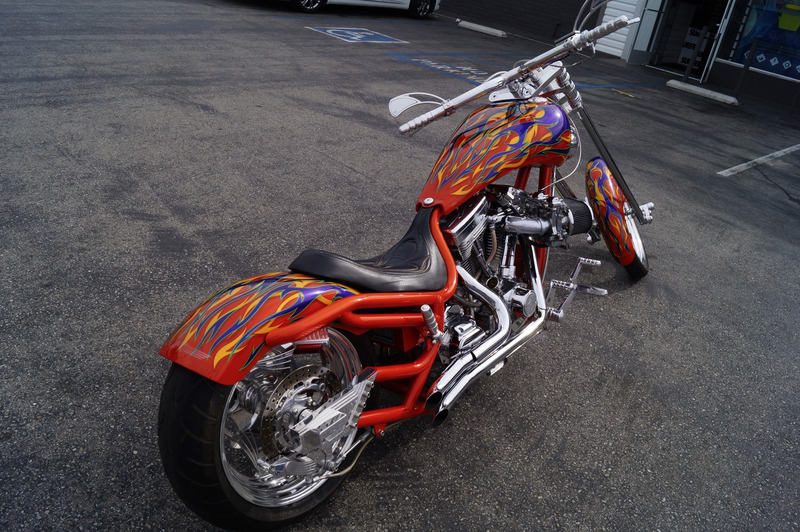 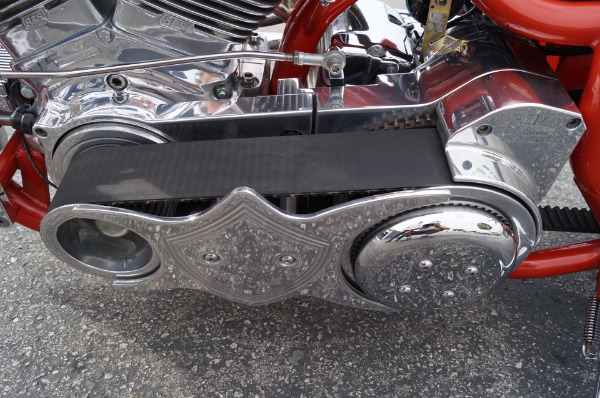 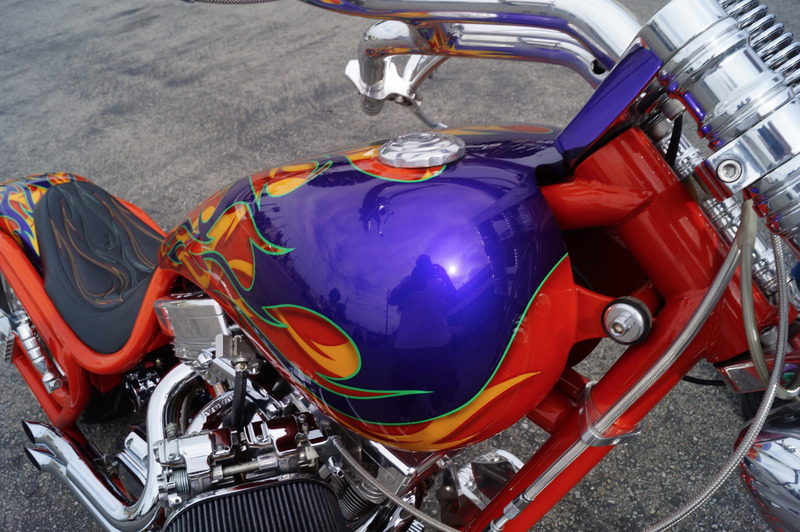 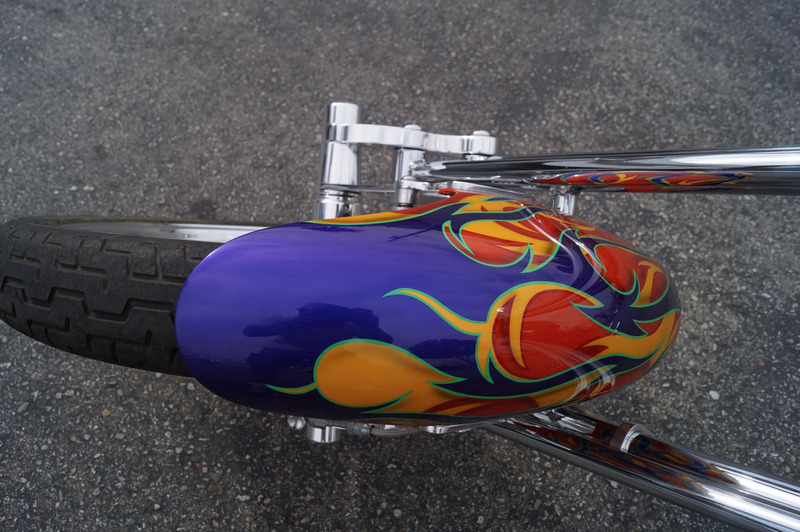 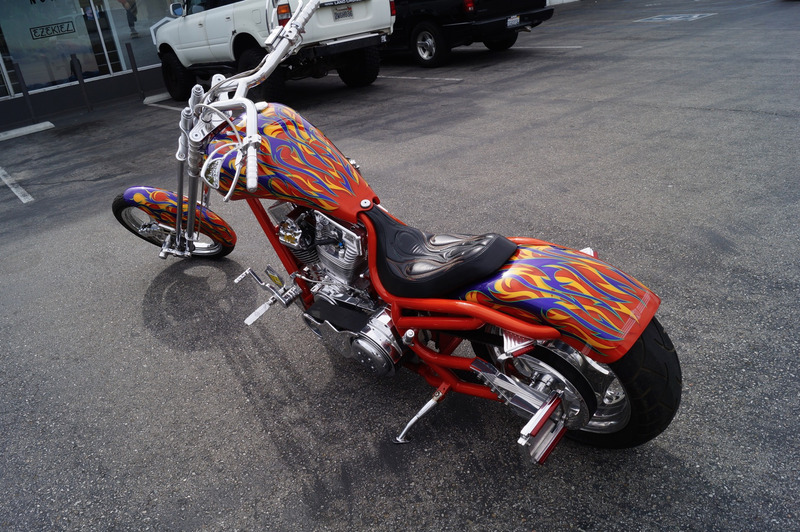 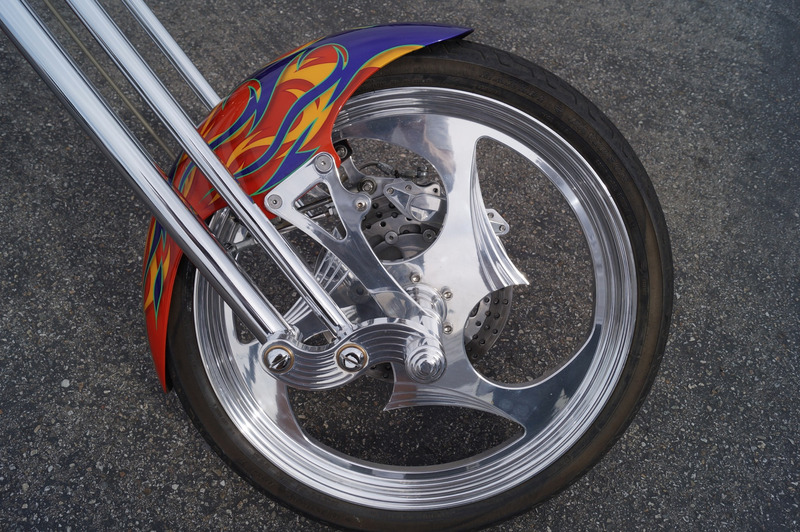 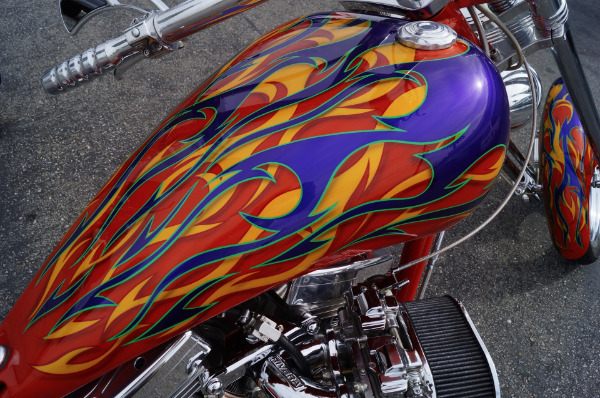 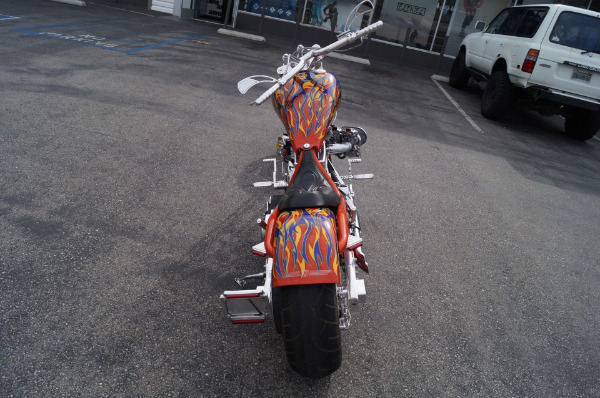 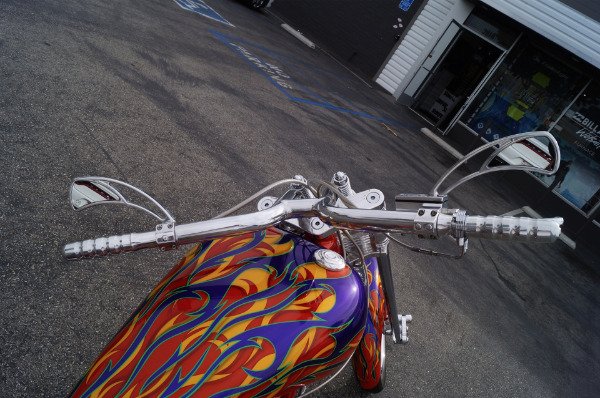 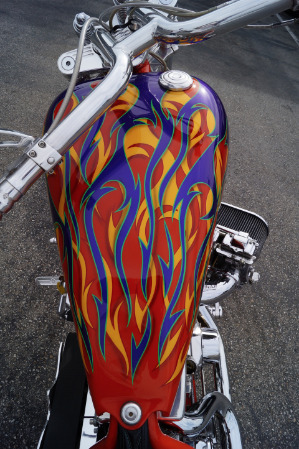 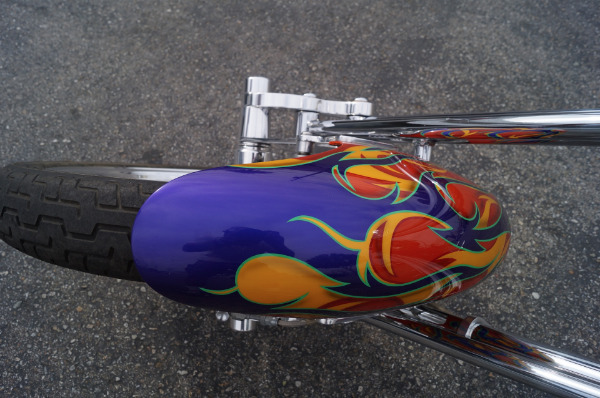 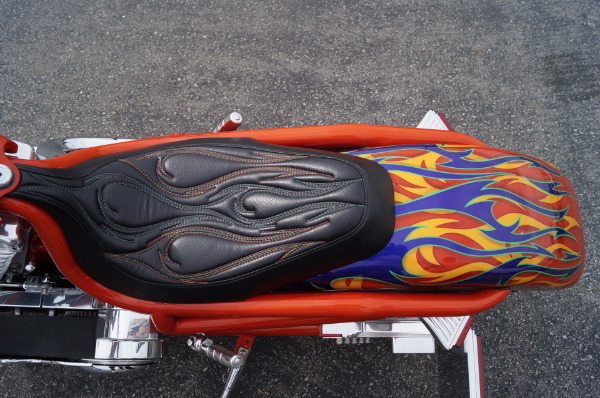 This custom painted show bike is truly a work of art from the raked out springer chopper front end to the huge rear tire. 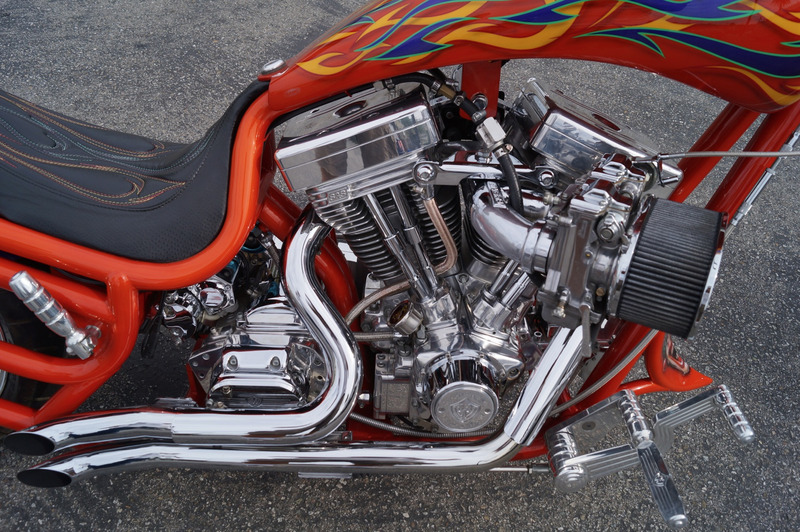 This one-off build is equipped with the highest quality components available. 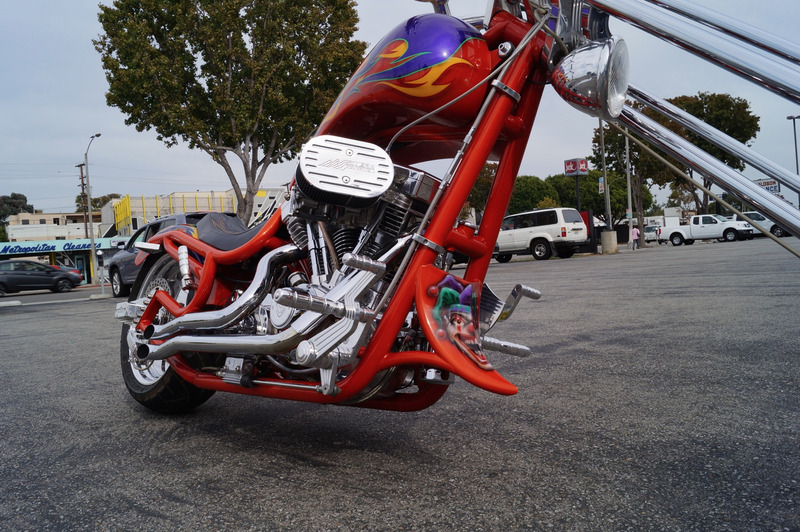 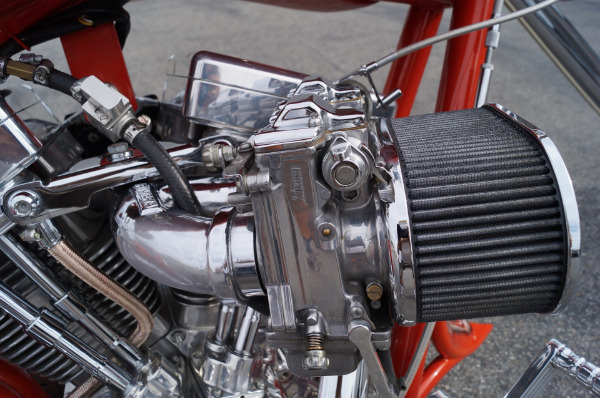 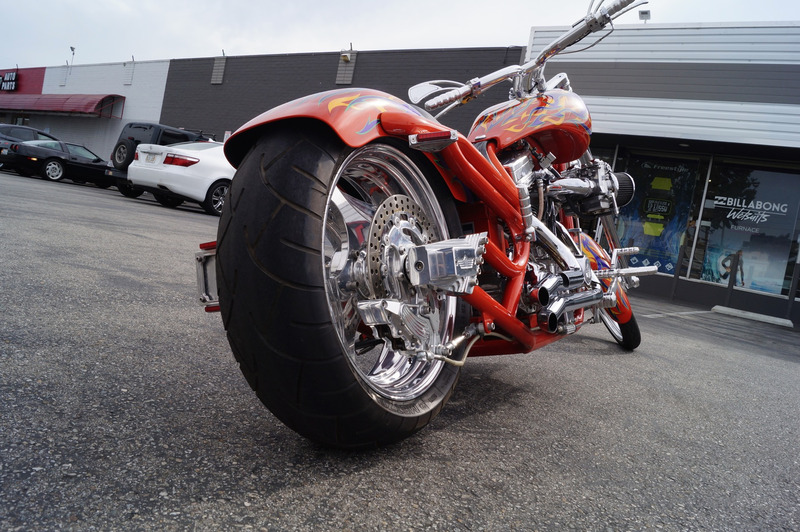 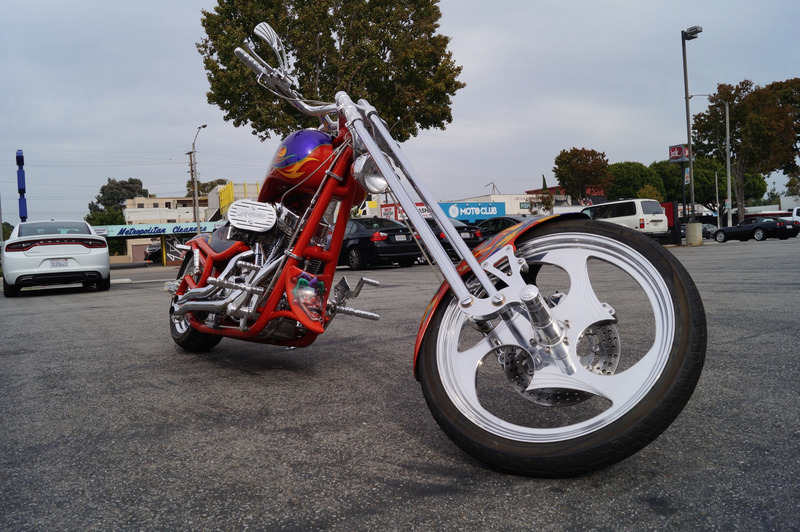 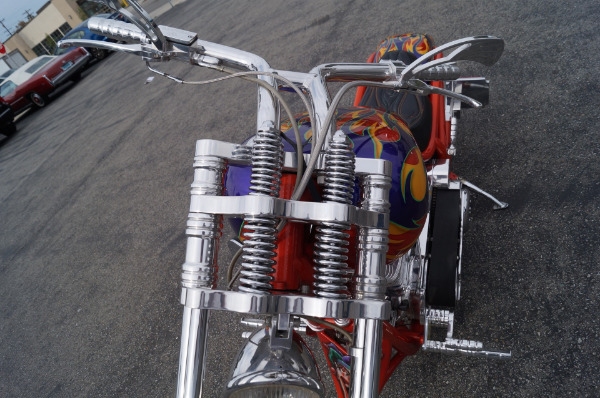 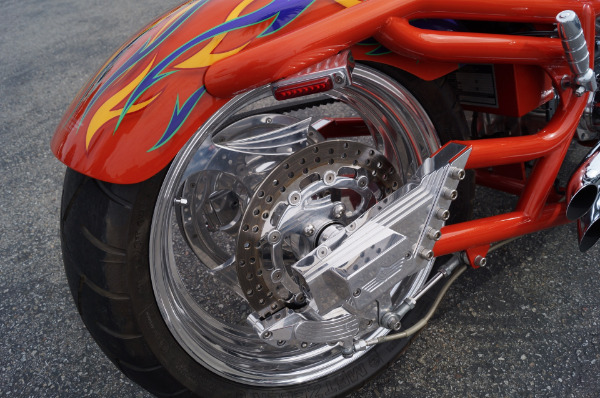 This top-of-the-line Show Chopper has all the Bourget upgrades available; matching pulleys, rotors, sprockets and polished Billet wheels! 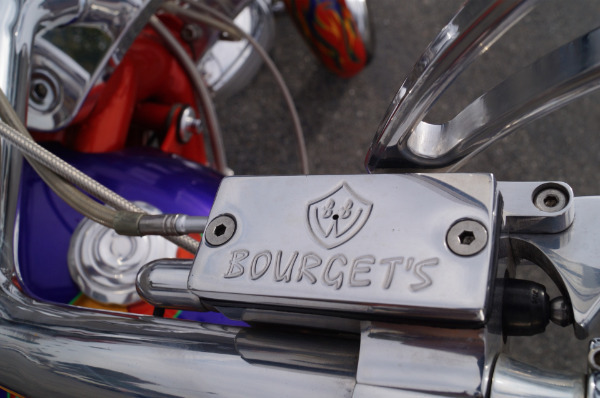 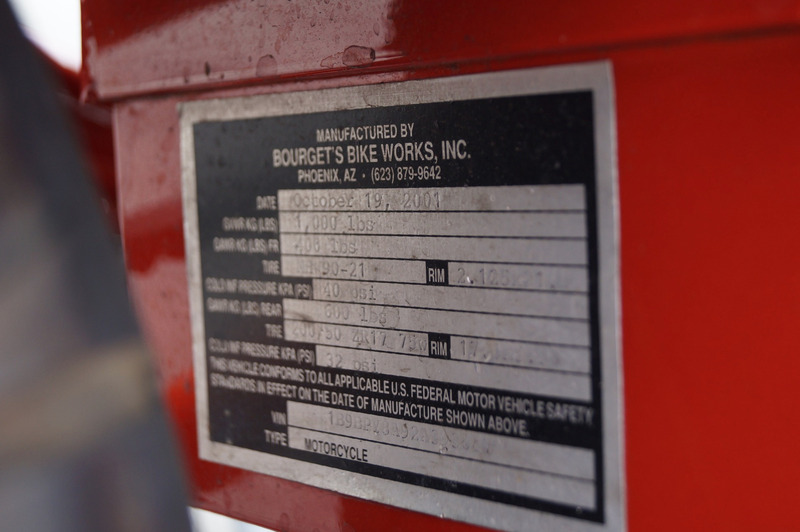 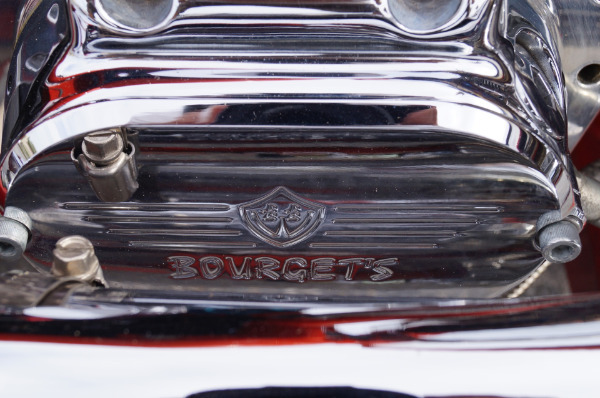 Riding the Bourget is a kick in the pants. 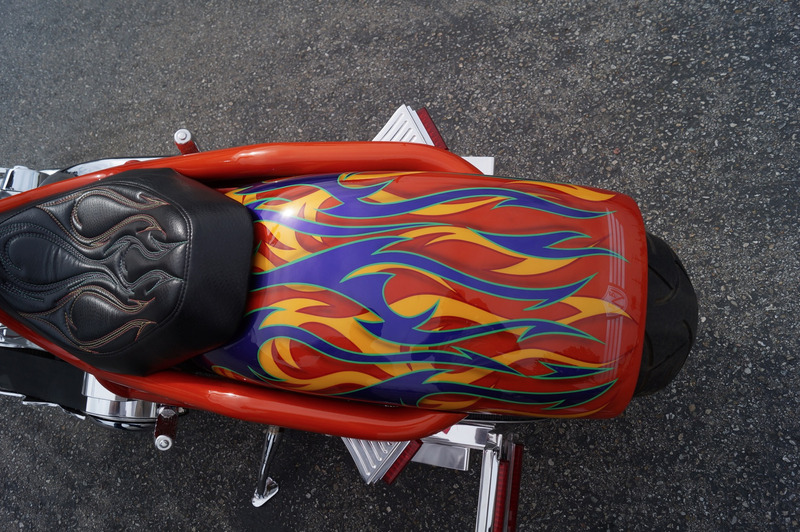 From the moment you settle into the seat this bike just feels good. 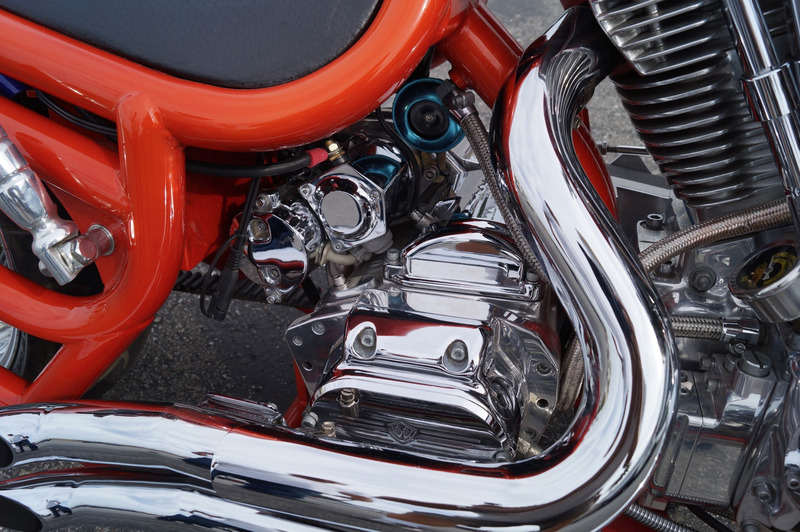 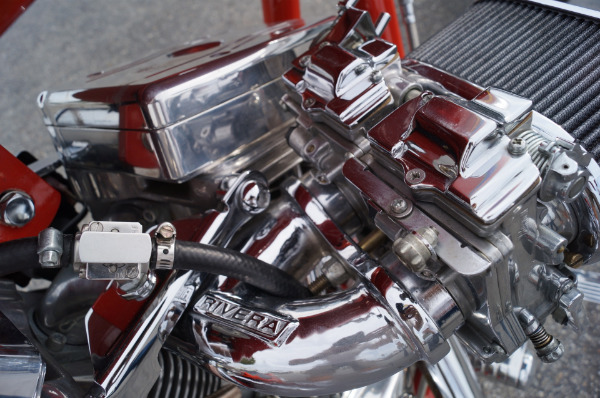 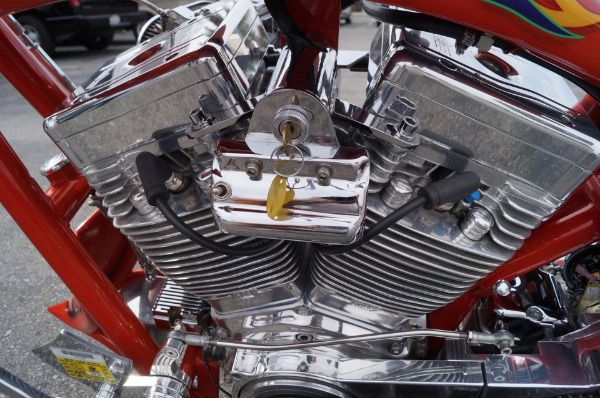 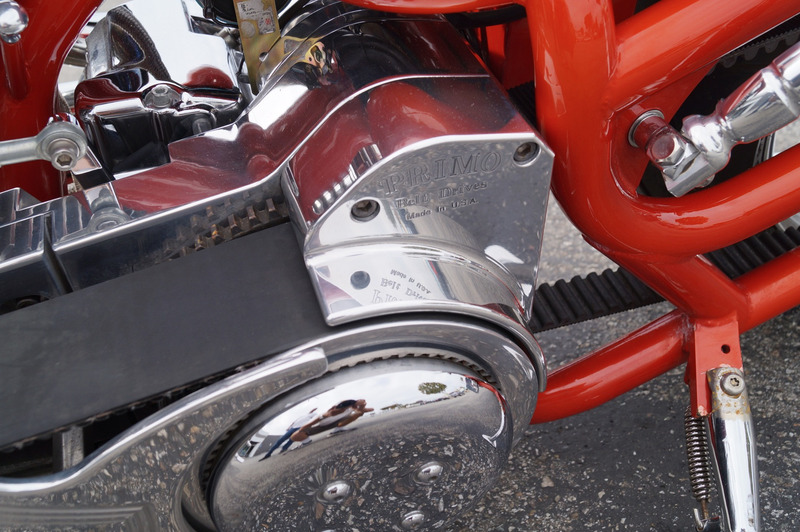 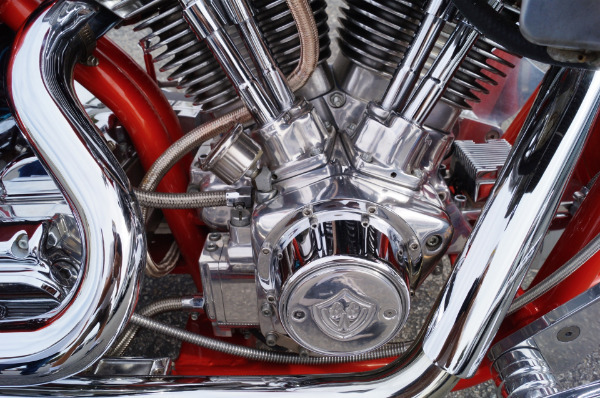 The controls are in a comfortable position and the bike is well balanced and with some coaxing, it turns well for a motorcycle with such a large rear tire and stretched forks. 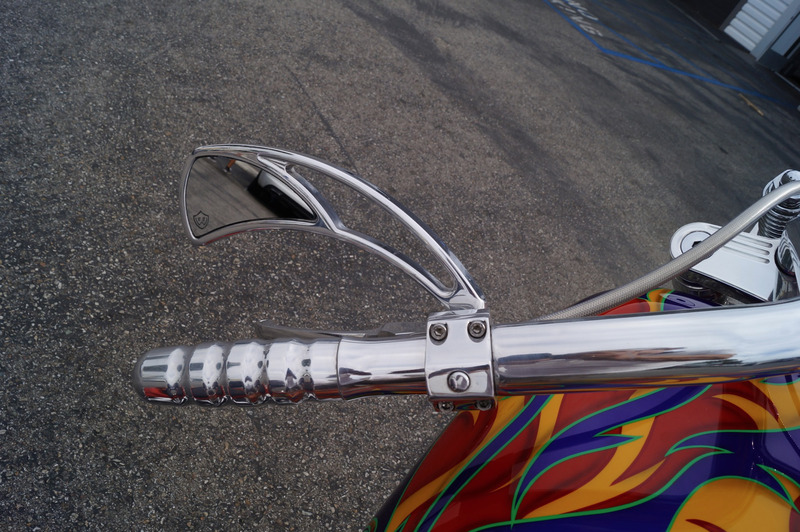 All of us who rode it had the same impression of the handling, it takes some rider input. You can't just give this bike a gentle lean to go through turns, you need to let it know who the boss is, plant your feet on the pegs and lean hard. 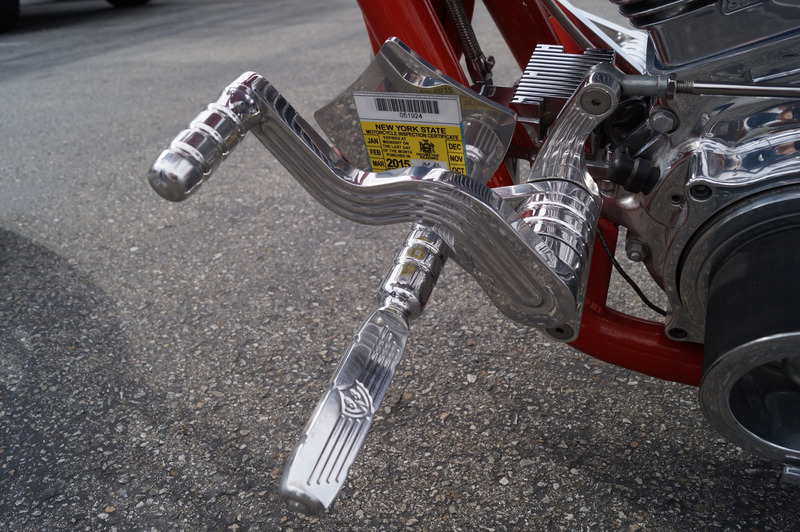 Once you've mastered this, you've got it licked. The guys in Phoenix have done a masterful job on this bike. 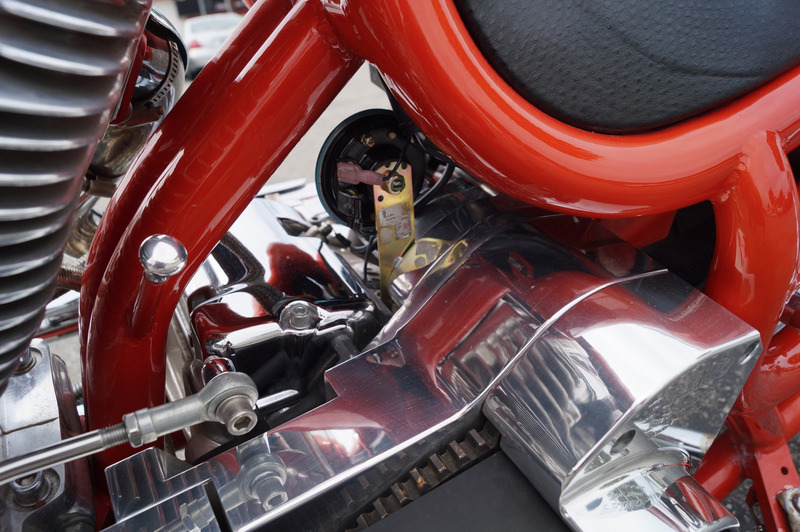 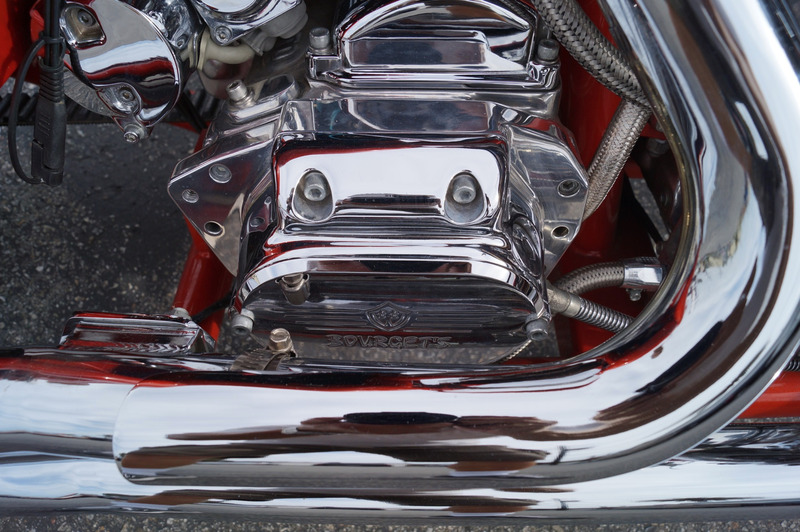 The bike has been obviously been meticulously maintained and serviced and is ready for the road or show! 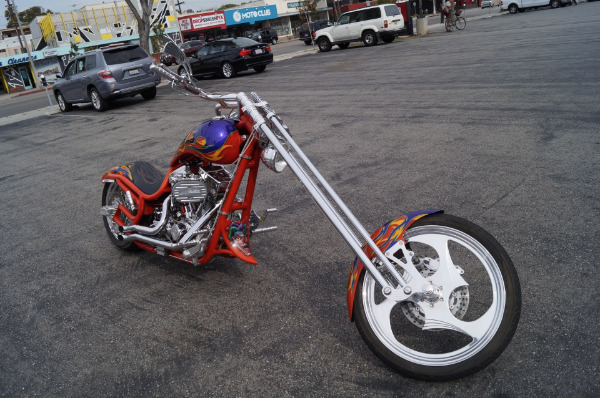 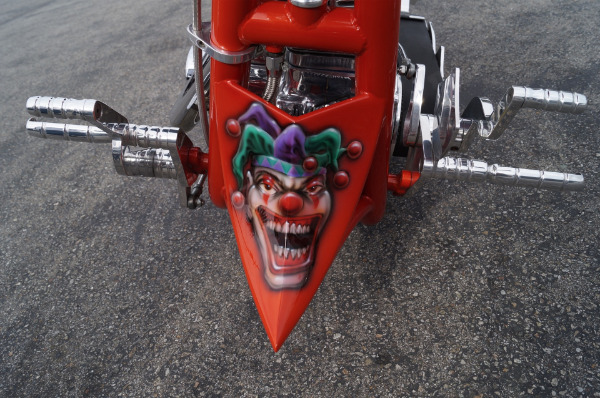 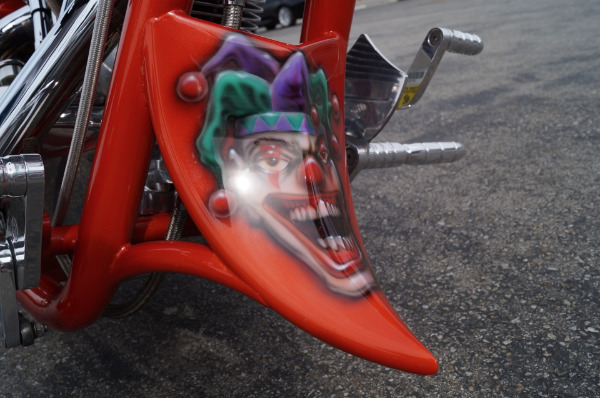 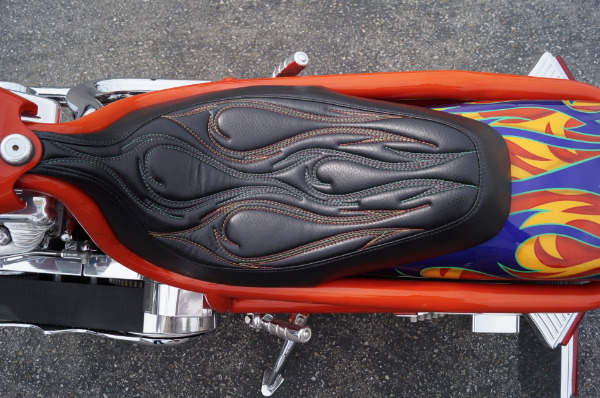 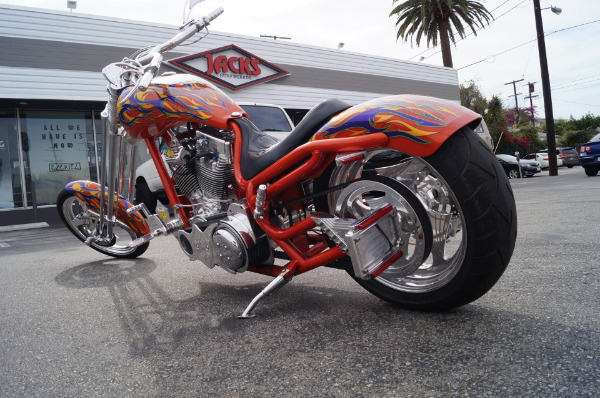 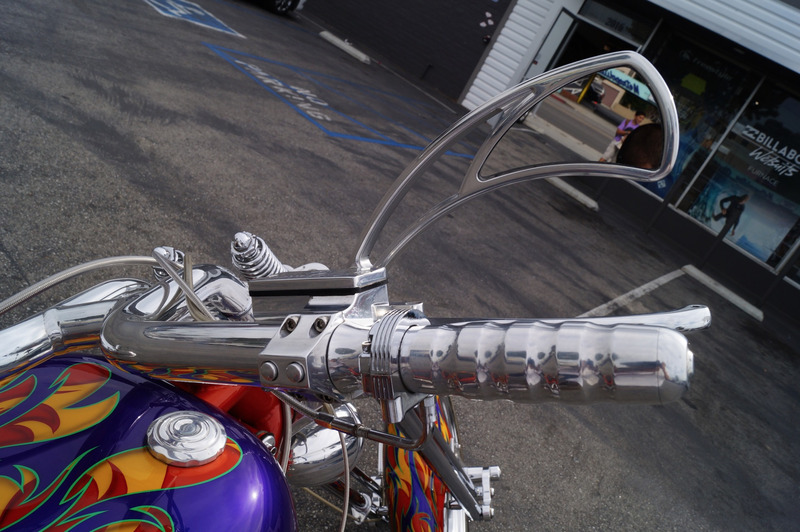 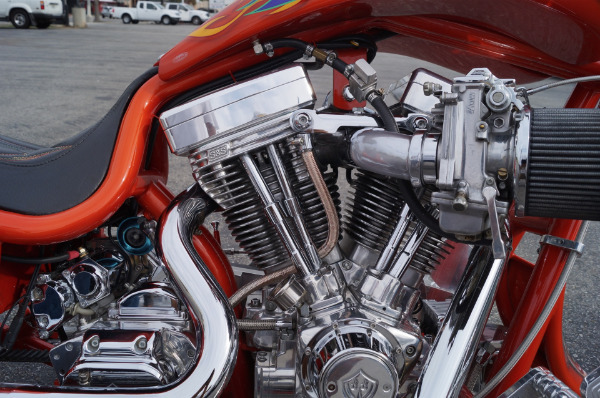 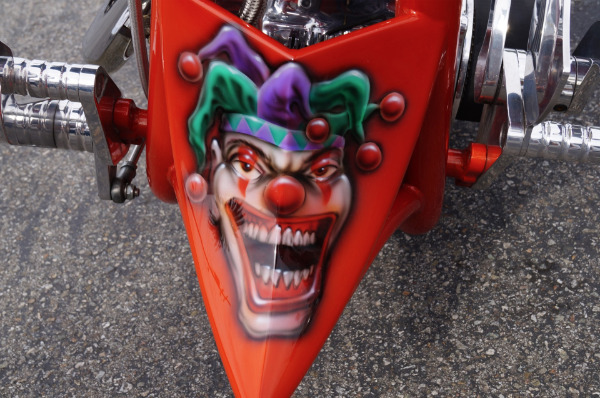 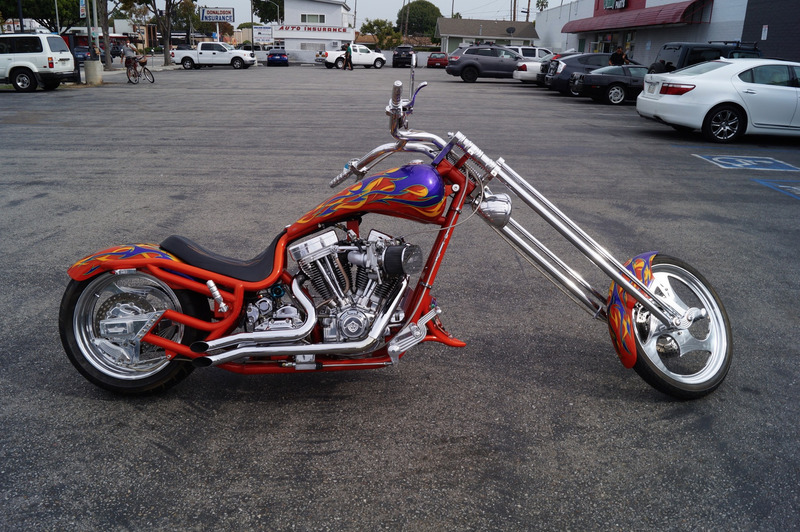 This no expense spared Custom 'The Joker' Show Chopper is the result of combining the highest quality components available with the industry's most talented fabricators. 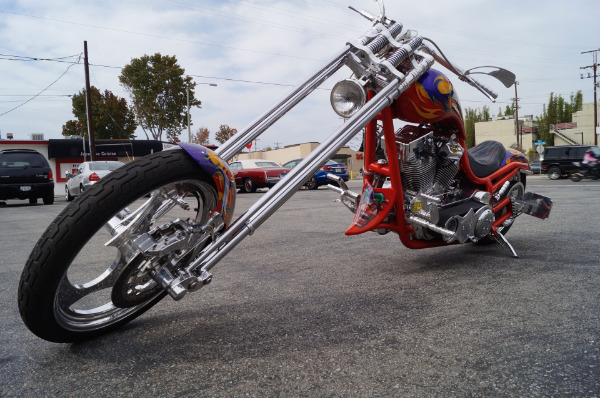 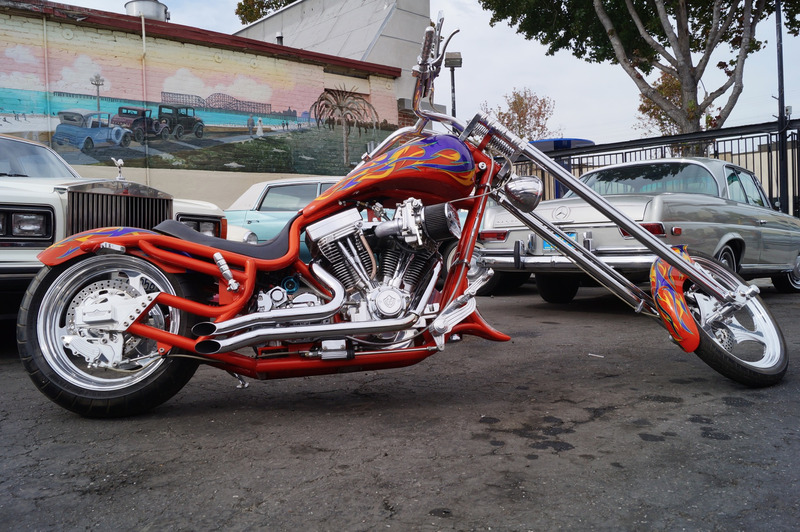 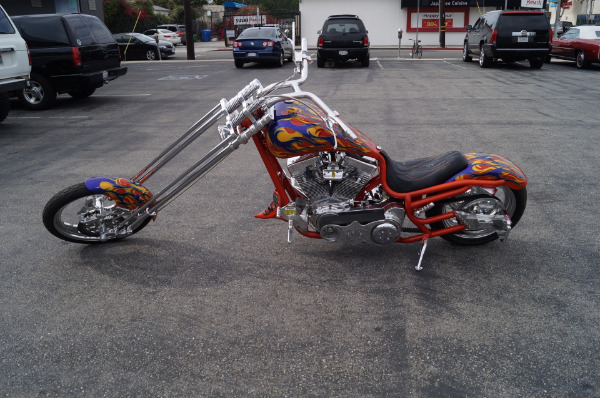 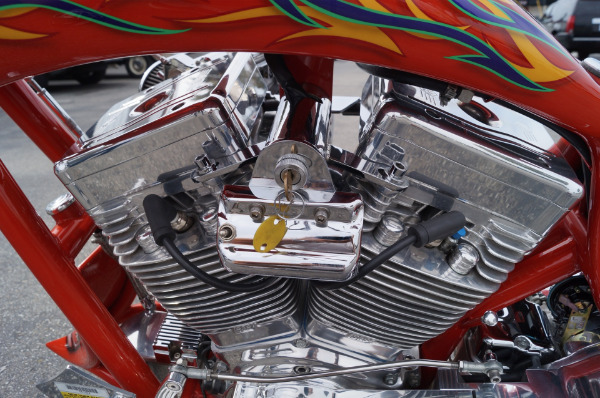 You will obviously look long and hard to find a lower mileage example and one-off example of such a desirable chopper available anywhere else!